The Joystick in an original Exposure model and has never stopped getting better. 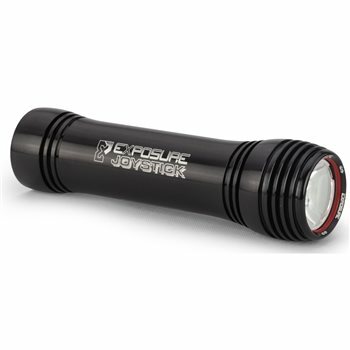 Ultra compact, super light at only 93g and ready to unleash 1000 lumens for any adventure makes it an essential bit of kit. CNC Aluminium bodywork is packed with innovative patented technologies, managing power and optimising brightness. Dimensions - Length 112mm, Head Diameter 30mm.